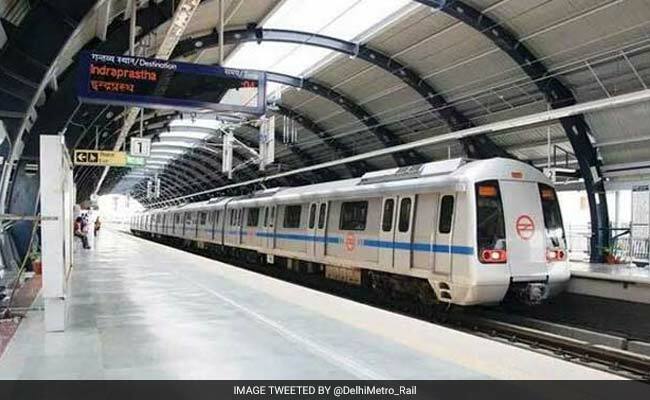 Delhi Metro will begin recruitment process for recruitment to the posts of electrical engineers, Deputy General Manager (Traffic), Deputy General Manager (Design) and Deputy General Manager (Environment). New Delhi: A major government job update is coming up in Delhi Metro Rail Corporation Limited (DMRC). Aspirants can expect the job notification on 12 July 2017. Earlier DMRC had scheduled the notification release on 30 June. However the Corporation recently postponed the same. Delhi Metro will begin recruitment process for recruitment to the posts of electrical engineers, Deputy General Manager (Traffic), Deputy General Manager (Design) and Deputy General Manager (Environment). Except the DGM Environment post, all other will be on contract basis. The recruitment of electrical engineers will be in re-employment basis. Candidates interested to join Delhi Metro (DMRC) should wait for the detailed advertisement and apply online. Meanwhile DMRC online registration is open for other posts. The ongoing recruitment include requirement of retired personal assistant / personal secretaries/ retired office superintendent on contract basis as consultant, requirement of consultant / horticulture on contract basis (as consultant) and requirement of retired/experienced personnel for various posts for civil department on re-employment/contract basis for DMRC projects. Operating since 2002, Delhi Metro has been the lifeline of the national capital since its inception. Currently DMRC comprises of 164 stations and has stretched to Noida, Ghaziabad, Gurgaon and Faridabad. DMRC releases job notification for direct/ contractual recruitment every year and witnesses good response from job aspirants. Aspirants face strict selection process for clearing the exam phases set by the Corporation.